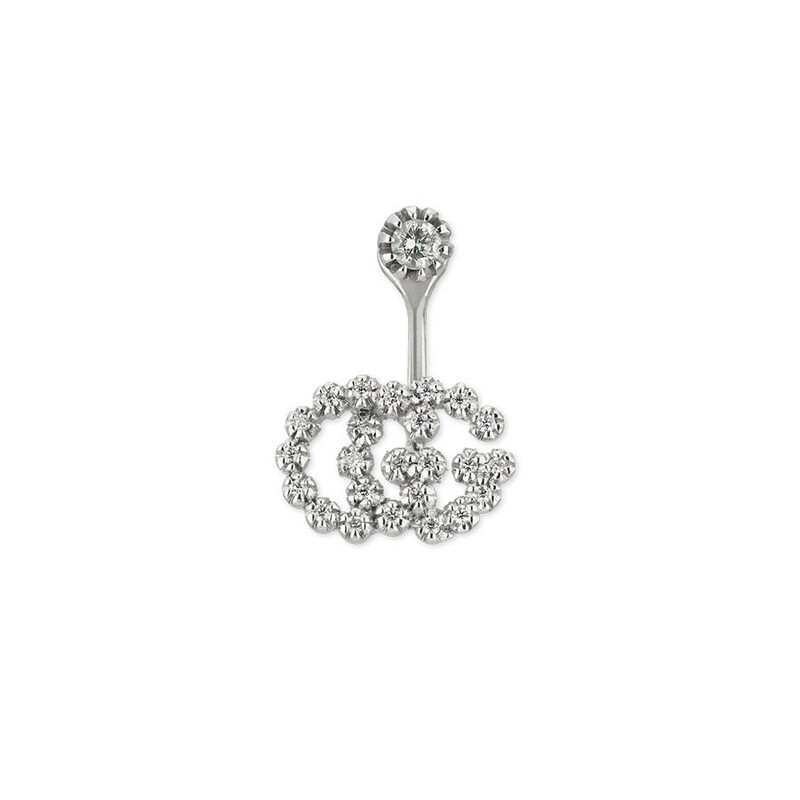 Successive Gs shine in this contemporary single earring for pierced ears from Gucci's GG Running collection. Crafted in 18K white gold, double Gs adorned with dazzling diamonds fall below the earlobe from a single stud on a post backing. This Gucci drop earring is a singular sensation!